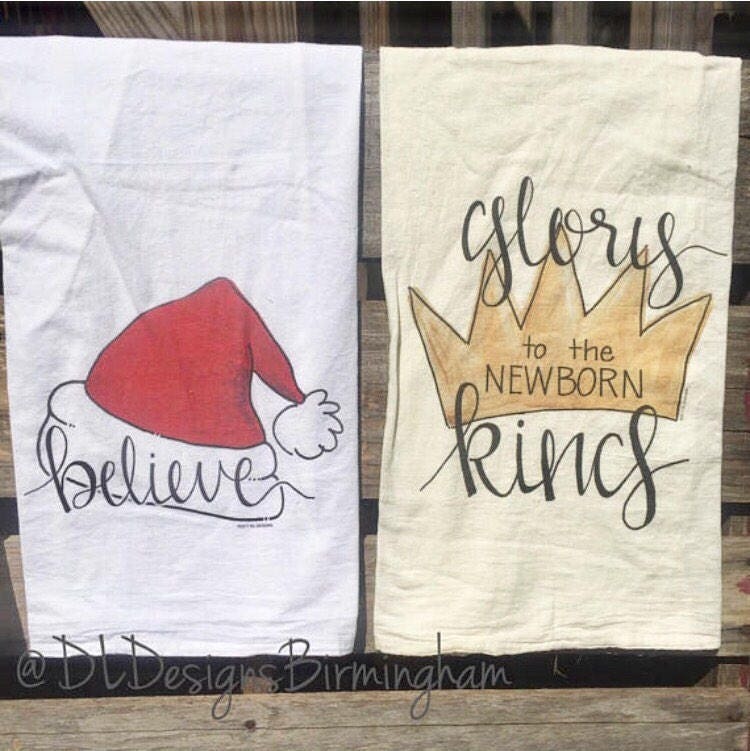 My popular Santa hat, reindeer in tangled lights, and 'Glory to the newborn king' designs are now available as adorable dish towels! 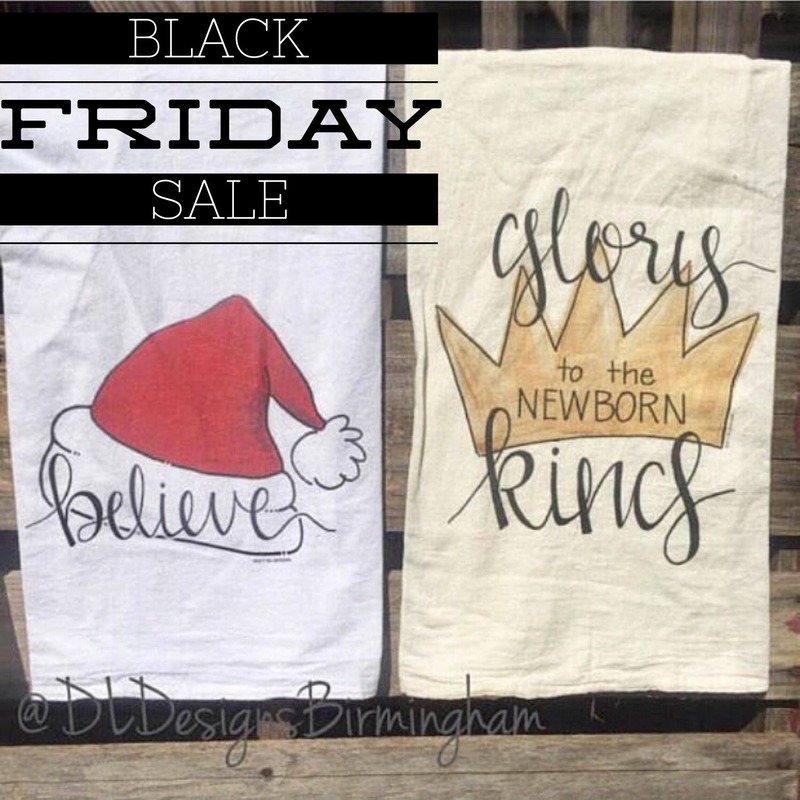 All designed and lettered by me and then imprinted on flour sack tea towel. 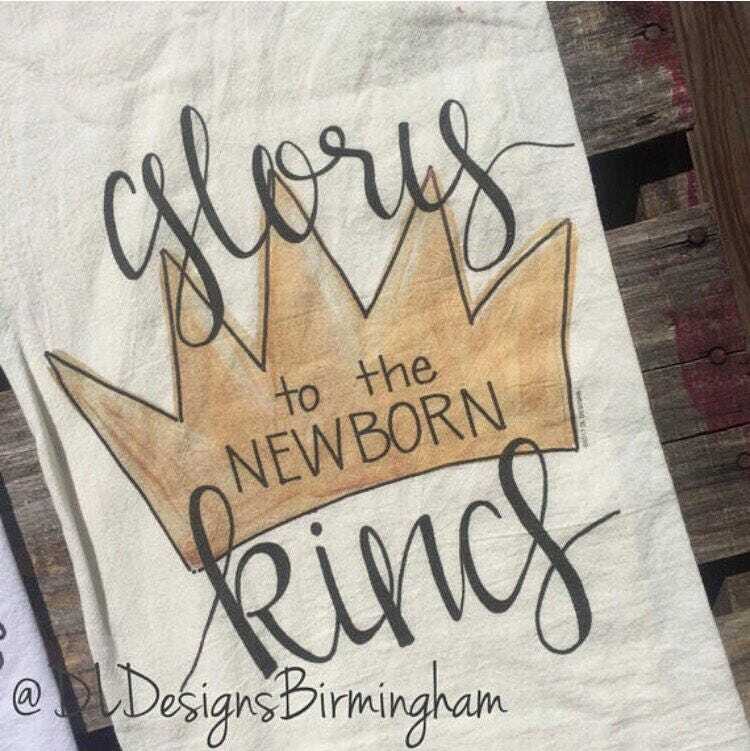 -‘Glory to the newborn king' design on a cream dish towel. 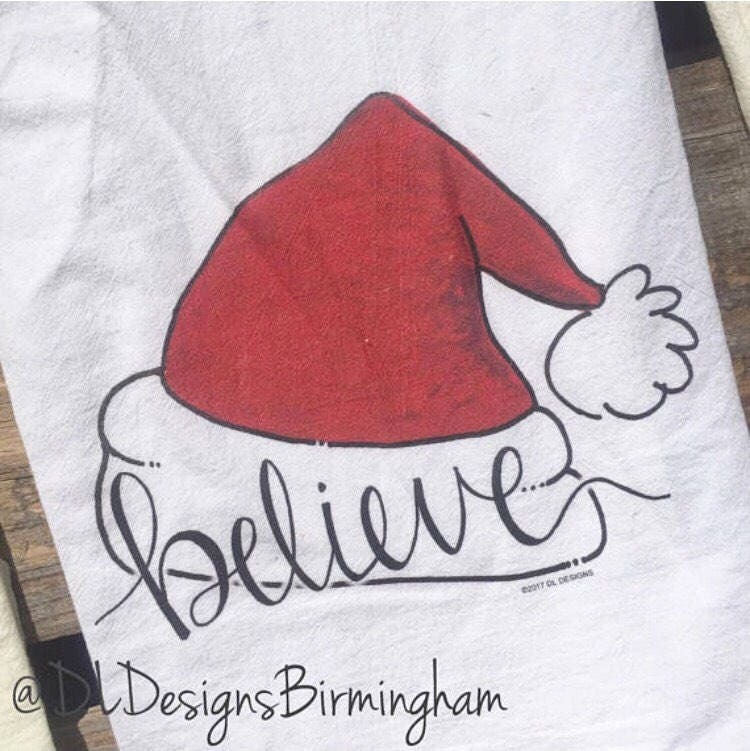 -‘Believe' design on a white dish towel. 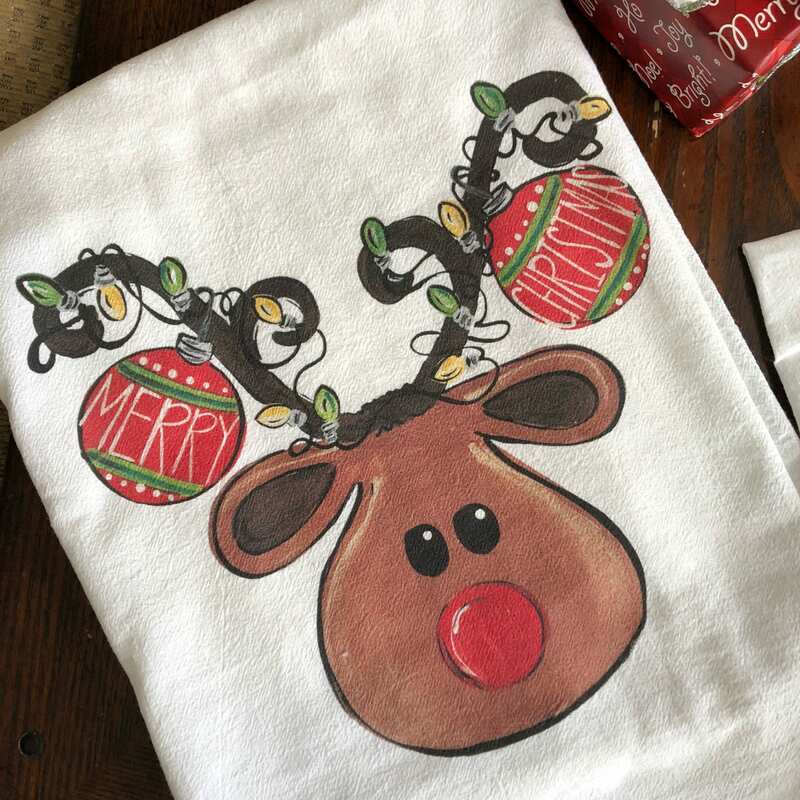 - reindeer with tangled lights on a white dish towel. I have ordered numerous things from this shop and have NEVER been disappointed!! 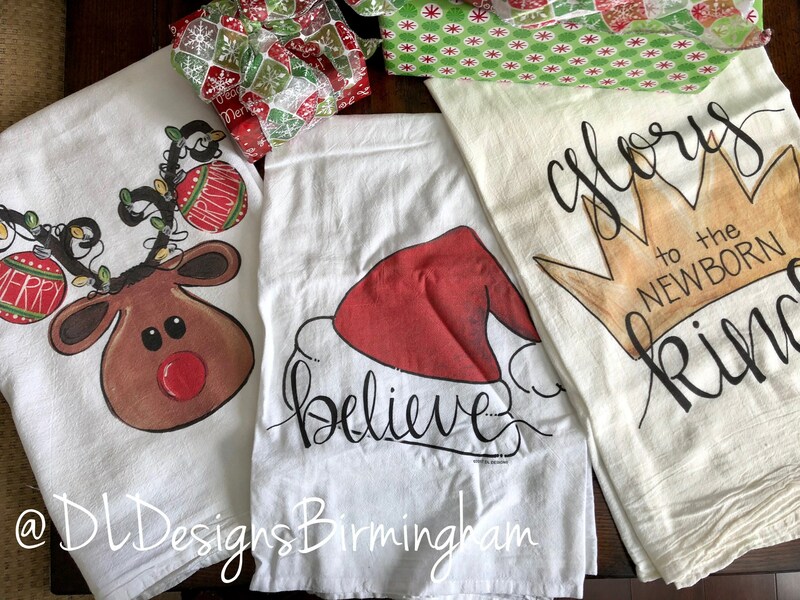 Quick turn around and beautiful merchandise!!! Highly recommend!!! 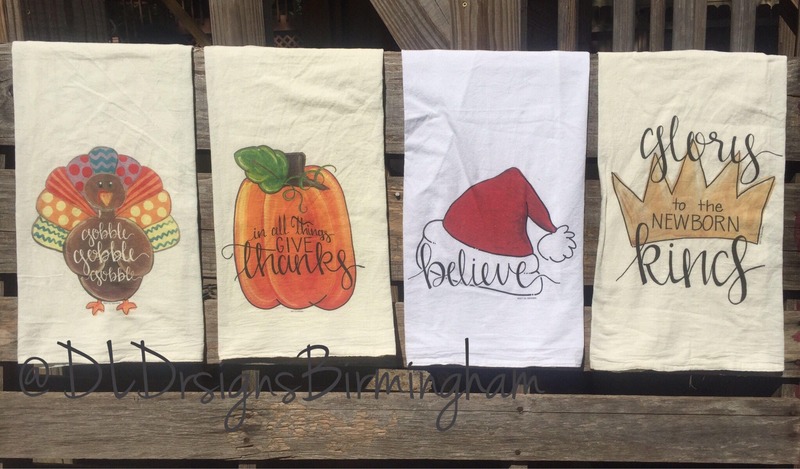 Bought these for me and my neighbors! && I just love them so! Such great little happies!